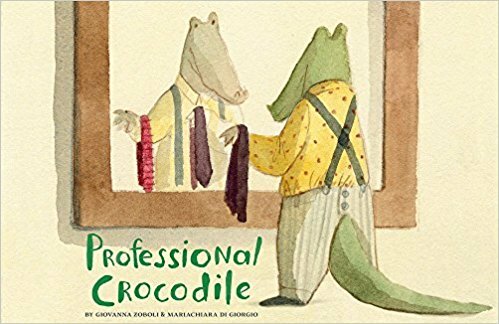 I completely and totally adore Professional Crocodile by Giovanna Zoboli and Mariachiara Di Giorgio and have read it over and over, finding something new that makes me smile every time. A wordless picture book, some pages of Professional Crocodile have panels, like a graphic novel, moving the story along, and some pages present one illustration spread over two pages. The watercolor and charcoal/pencil/crayon illustrations allow for broad sweeps of color, tight details and a warm palette. And, Professional Crocodile keeps readers wondering throughout the book, just what is this crocodile's profession? The surprise reveal, which I will not divulge here (but I can tell you that it is so clever and surprising I guarantee you will love it as much as I do) at the end is utterly delightful and one that will send you back to the start to read again. The premise of Professional Crocodile is a simple one. Over the course of this marvelous book, we watch a crocodile wake up, get dressed and head to work. 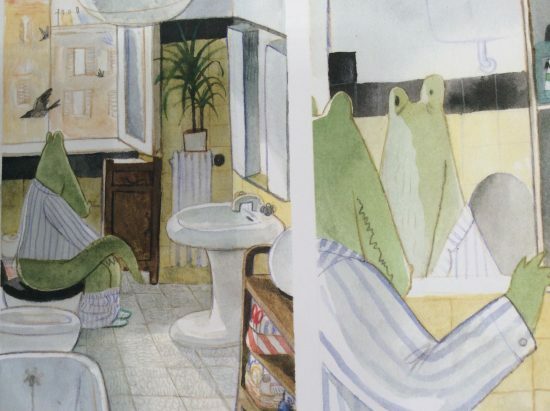 The creators of this book are both Italian and Crocodile lives in a vibrant European city filled with fascinating people and animals. 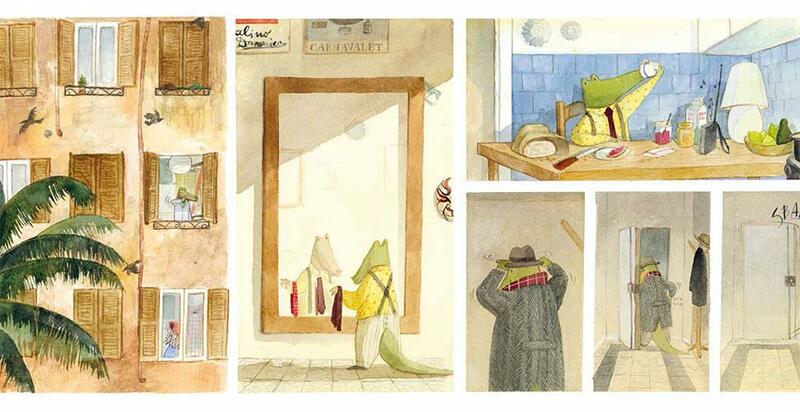 After performing his morning routine, Crocodile heads to the metro, visiting shops along the way. He walks through crowded streets and parks, pausing to leave violets on a windowsill for a woman. Pore over every page and you will find treat after treat, from a fellow in a Chewbacca t-shirt to a boy trying to touch the tip of his nose with his tongue. I will leave you on the subway with Crocodile and the hope that you will seek out Professional Crocodile and purchase a copy for yourself and/or for someone else!